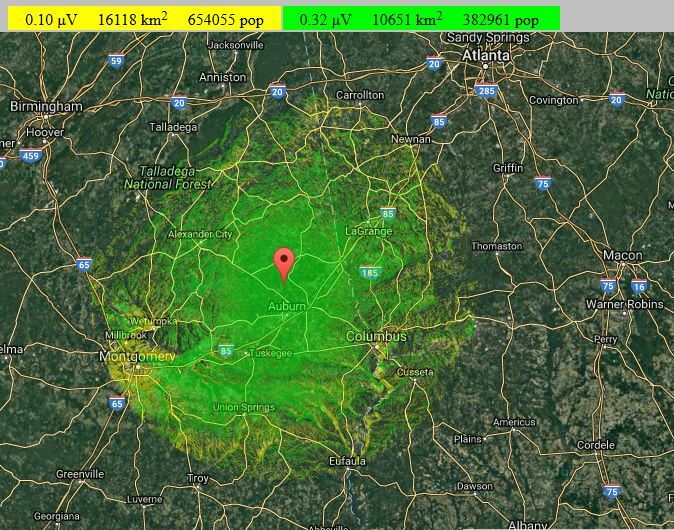 The 442.175(+) Gold Hill, AL repeater is located just north of Opelika, AL and to the northeast of Auburn, AL. 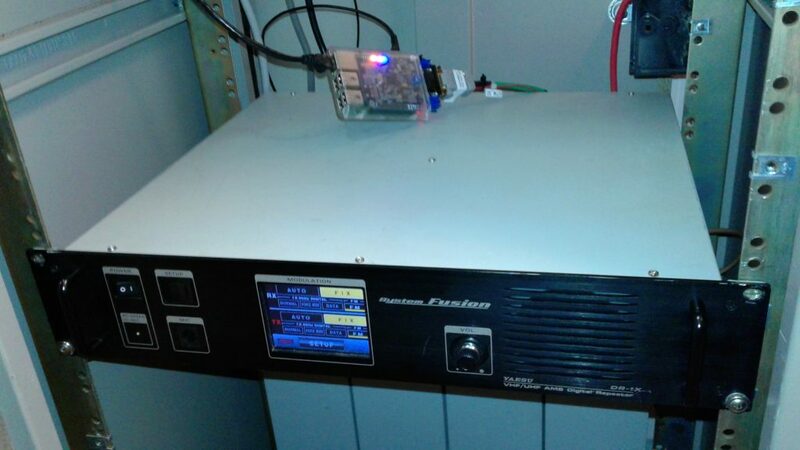 Previously an analog FM repeater running on a converted Mastr II, it was changed to full-time DMR operation as of May 24, 2018 by means of converting/adapting a Yaesu Fusion DR-1 repeater for DMR. Information and photos of the DMR build can be found below, right after the general operating parameters. Dynamic / PTT linking to other talkgroups is permitted, but users are highly encouraged to use TS1 for dynamic / PTT links when there are local QSO’s on TS2 in order to minimize disruption and interference with local “rag chew” and other use by local users. Dynamic / PTT linking on TS1 is permitted. 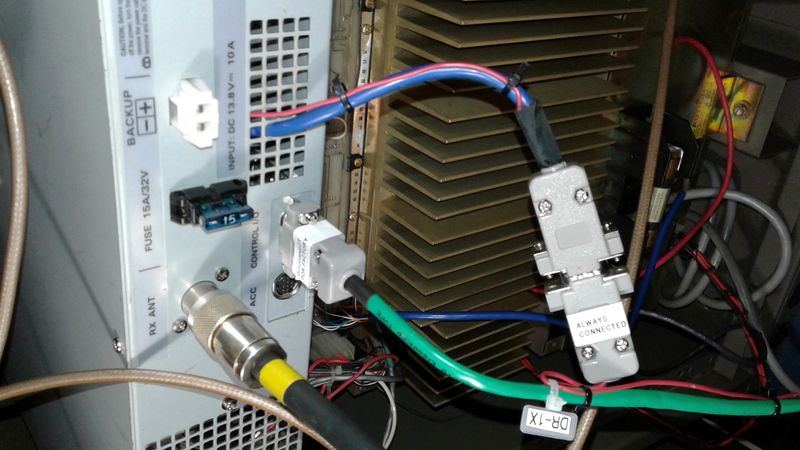 Modified Fusion DR-1 repeater with the STM23_DVM attached, sitting atop the old Mastr II analog machine in the lab during the repeater build and testing. STM32_DVM modem board by Scott Zimmerman, atop its Raspberry Pi2 running on Pi-Star software. An excellent combination. Zimmerman put a lot of thought into the design and features of the STM32_DVM which you won’t find on other MMDVM devices, and it’s built and sold right here in the U.S.A. He even has his email and telephone number on the product page on the Repeater-Builder website. It’s worth every penny of its price, which is actually quite reasonable, especially given the “bang for the buck” you get with his board. 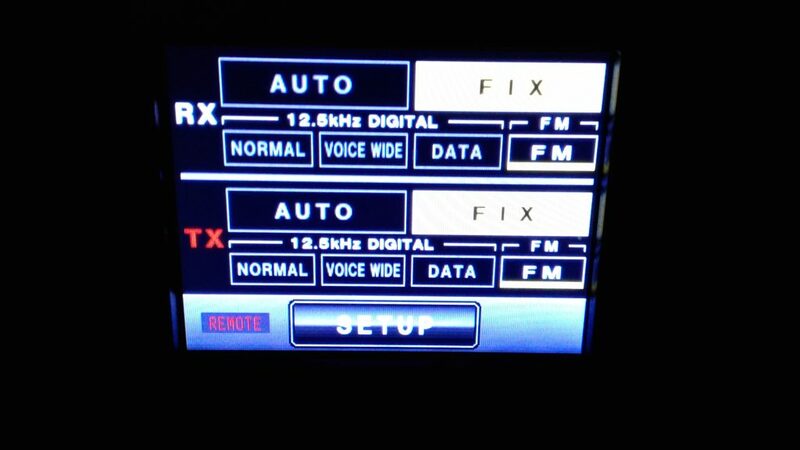 This Yaesu Fusion DR-1 turned out to have the low transmit modulation issue which many others have reported when trying to simply wire an external controller/device to the repeater via the 15-pin Ext I/O connector on the rear of the repeater. It would only modulate to about 0.5 KHz — way below the needed 5 KHz or so for handheld DMR radios to be able to “sync” and decode the signals properly. Zimmerman’s STM32_DVM can produce a whopping 5V P-P of transmit audio, but even that wasn’t enough to drive the transmit FTM-400 radio in the repeater adequately. 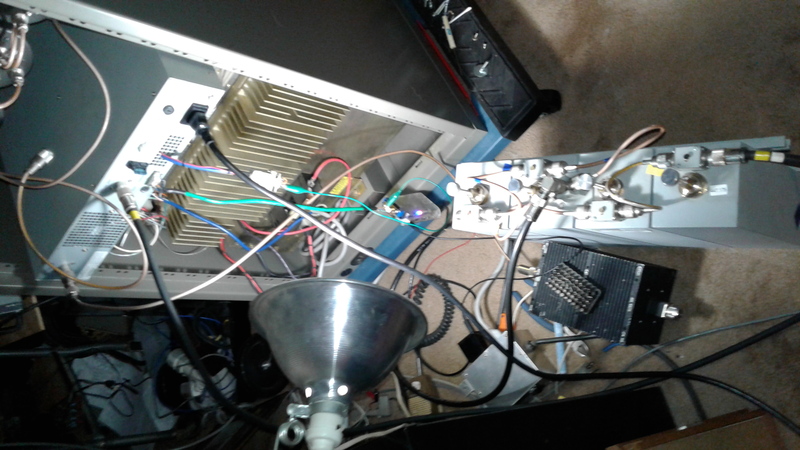 I figured out a way to make it work properly and yield the needed modulation, although it does require an internal modification of the repeater, which can be reverted to factory configuration and vice versa very simply without ever having to open up the repeater case again. 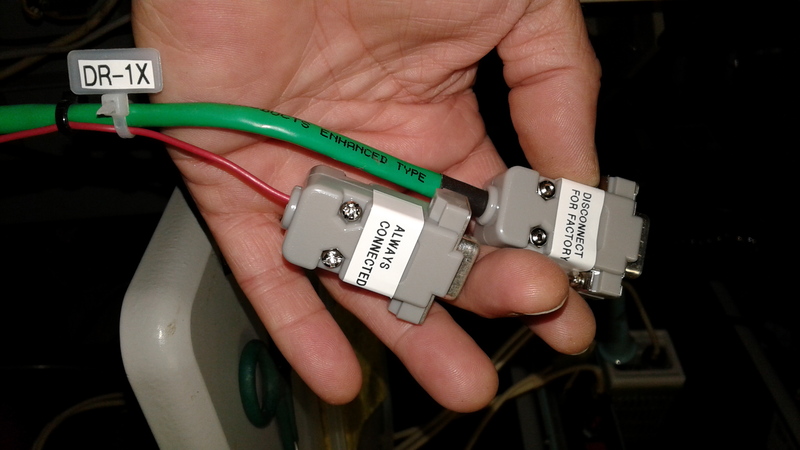 These two connectors comprise the repeater-end of the interface cabling I designed for using the STM32_DVM with the Yaesu Fusion DR-1 or DR-1X repeater after an internal modification in order to resolve the low transmit modulation issue which occurs with some of the DR-1 and DR-1X repeaters. 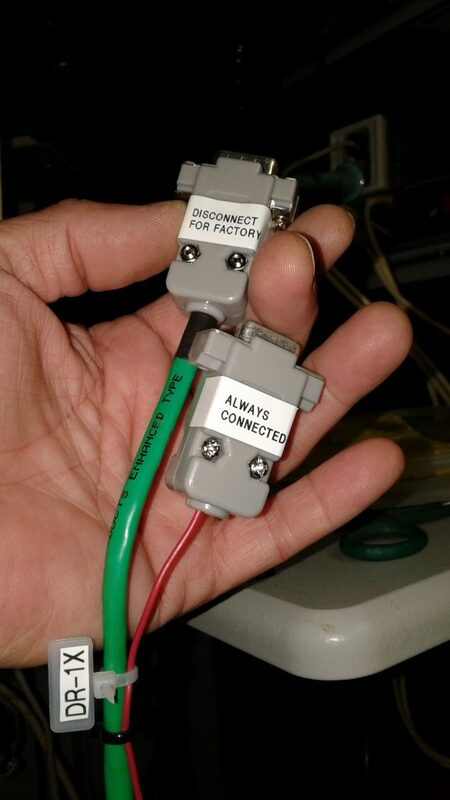 Note the labeling of these: one of them remains connected to the repeater at all times, while the other connector is simply disconnected in order to effectively return the repeater to factory configuration in case we ever need to use this machine as an analog or C4FM repeater like it came from the factory. 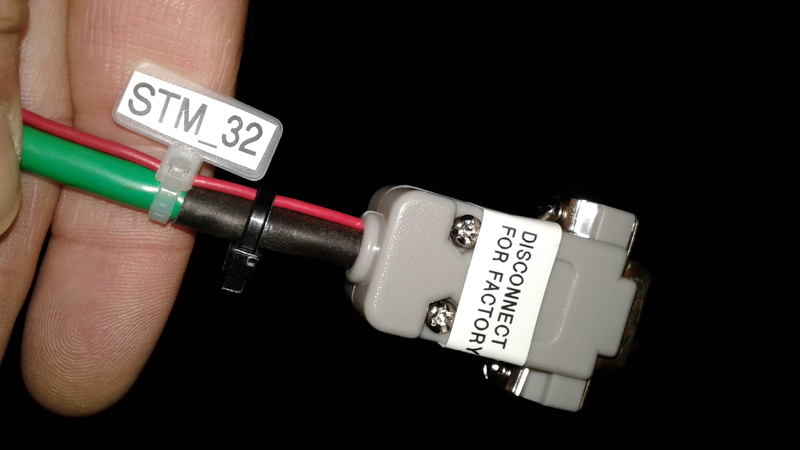 The STM32-DVM end of the interface/adapter cable I built for using it with the Fusion repeater. 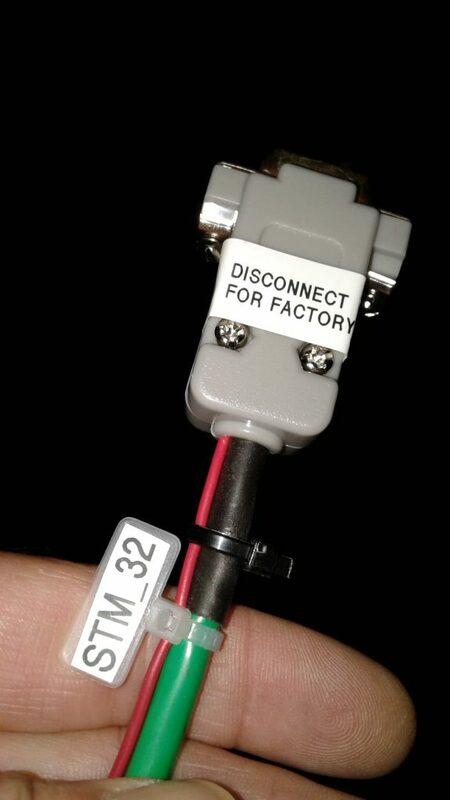 This connector also gets disconnected in the event of need to revert the repeater to factory configuration. 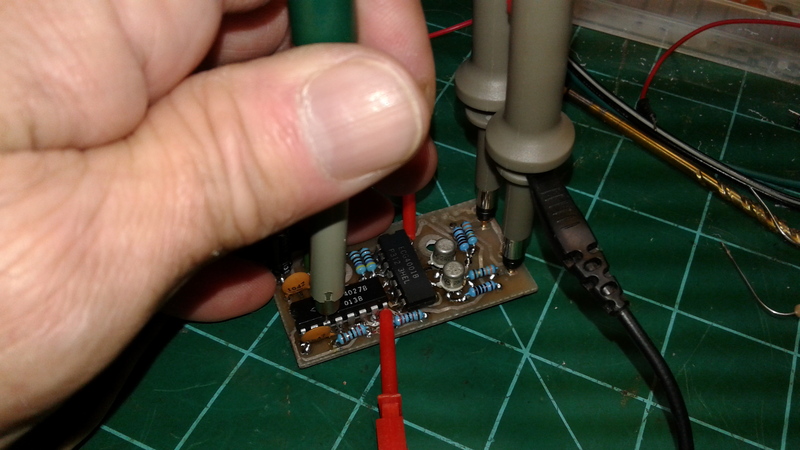 With the 15-pin connector of the cable I created for interfacing the STM32_DVM to the DR-1 repeater plugged into the I/O port on the back of the Fusion repeater, the repeater is forced into “remote” mode and fixed FM input and output. The STM32_DVM actually does the DMR decoding and encoding, and the limited digital functions of the Fusion repeater are totally bypassed — users can’t accidentally switch the repeater’s controller to any other mode from the front panel because the controller is effectively “locked out” from switching modes and will power-up/boot in this remote mode in the event of being powered-down and back on or a power interruption and restart. 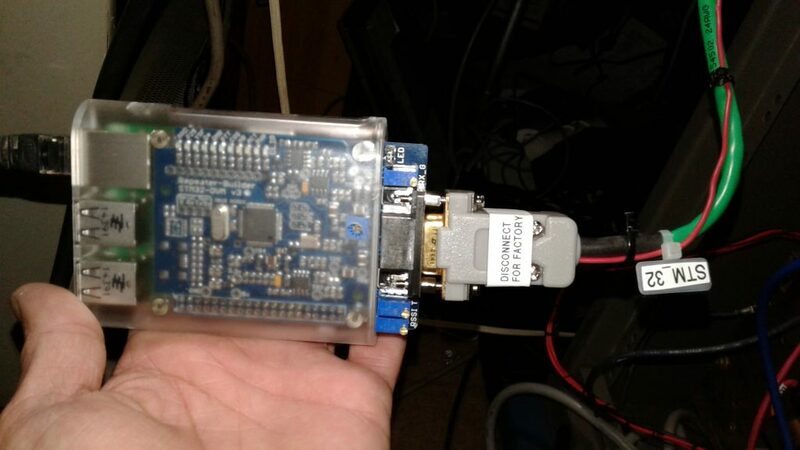 With the STM32_DVM interfaced to the Fusion repeater in this fashion, the repeater actually becomes capable of functioning as a DMR, C4FM, D-Star, P25, or NXDN repeater, and can even operate in a combination of those modes — a HUGE improvement in capabilities for the DR-1 and DR-1X repeaters! 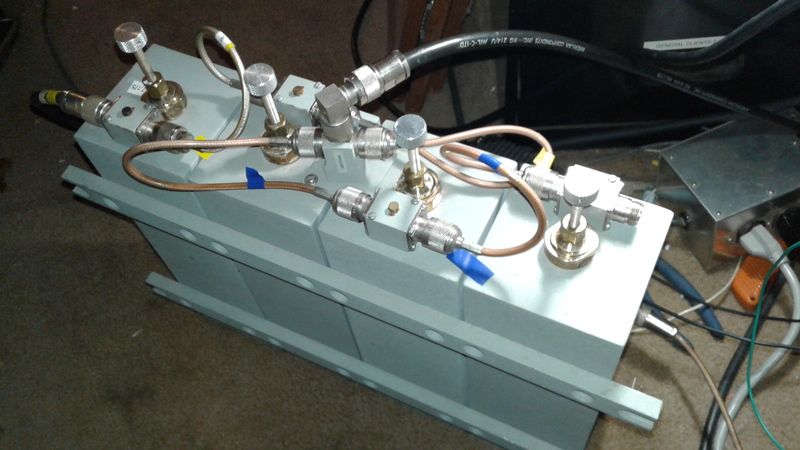 EMR Corporation duplexer assembly used with the repeater. This is a set I completely tore down and refurbished — every part, nut, bolt, screw, etc., including all new precision trimmer capacitors. 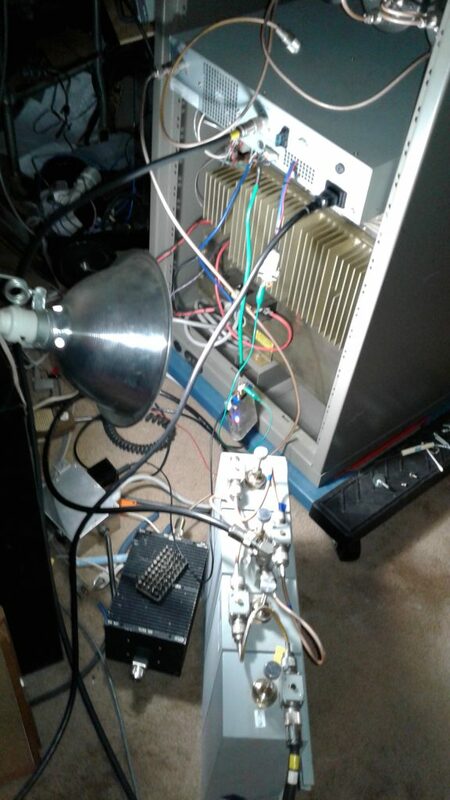 It was a true labor of love, but it resulted in an awesome performing set of duplexers with isolation between 110 dB and 120 dB and insertion losses of less than 0.6 dB per branch. 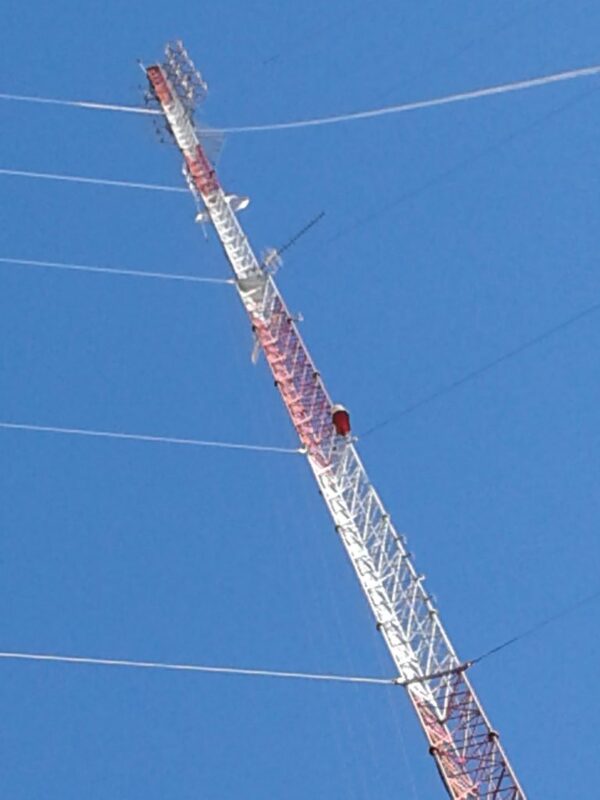 The Yaesu Fusion DR-1 repeater reinstalled at the repeater site. 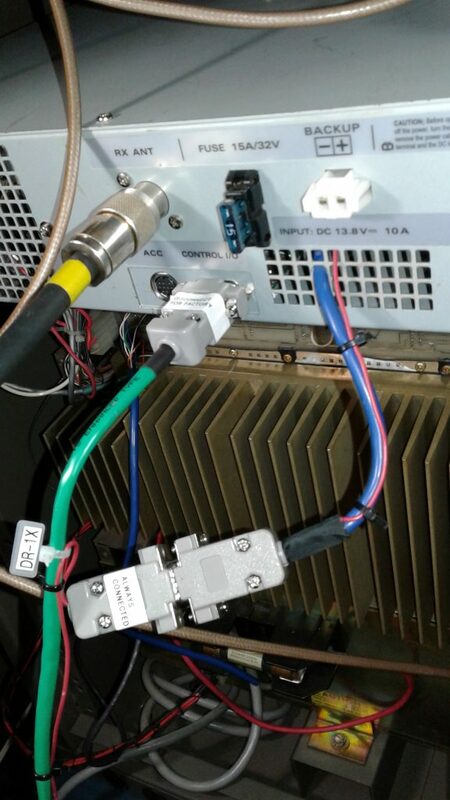 You can see the STM32_DVM controller sitting atop the repeater, with the EMR duplexers situated just below and behind the repeater. Propagation / coverage estimation map of the 442.175(+) KK4ICE Gold Hill, AL repeater for mobile radios, based on Longley-Rice modeling. Since the conversion to DMR operation on 5/24/18, performance has been great and has effectively increased the range of the repeater by several miles compared to what it was as an analog FM repeater. 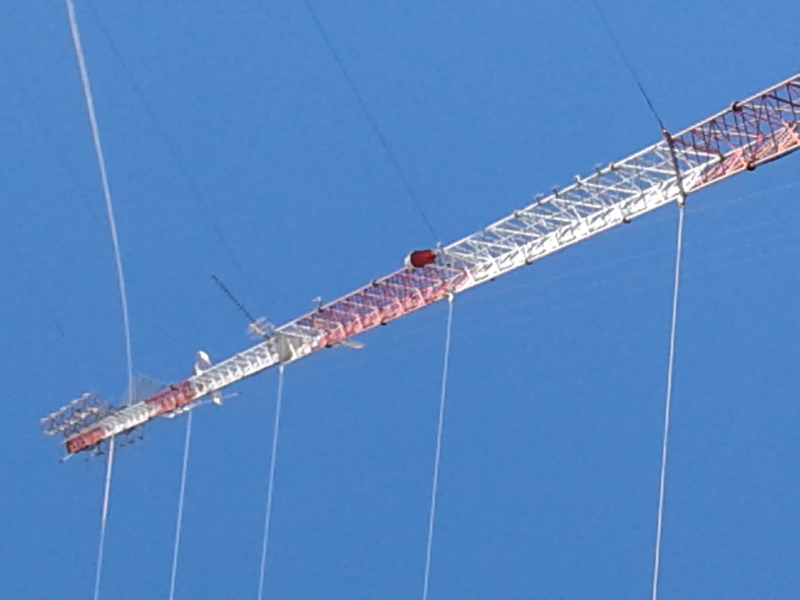 We have one repeater user who regularly uses the repeater now with a handheld radio inside a concrete and brick structure in Tuskegee, AL. Sweeeeet.